Surrounding yourself with people who champion your health and happiness is the best way to ensure you are living life well. Our team at Pine Grove Crossing is dedicated to giving you the life you deserve – both by providing a range of services and delivering them in a way that’s personal, heartfelt, and catered to you. 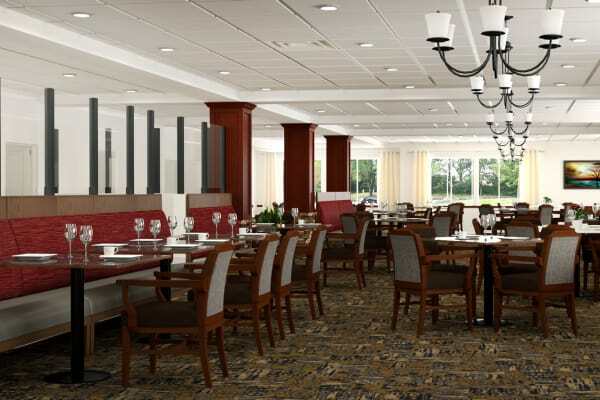 That’s why at Pine Grove Crossing, we take care of our Assisted Living and Memory Care residents with restaurant-style dining, weekly housekeeping, and transportation assistance. 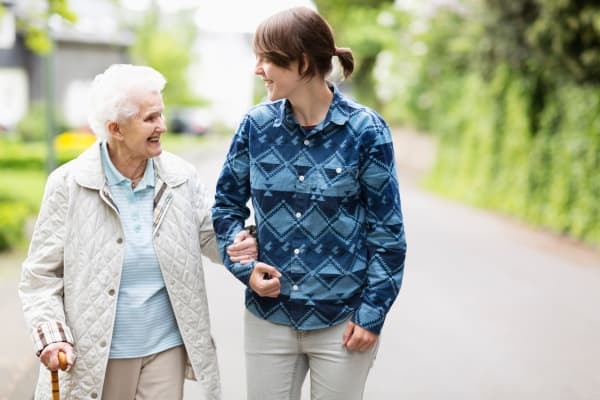 Most importantly, we have licensed nursing care available 16 hours a day, 7 days a week, to provide our residents the level of support they need. This level of licensed nursing care allows us to support residents with more clinical needs, such as insulin-dependent diabetics, injections, and other more medically complex conditions. A community will only feel like home to you if all the amenities are there to make it that way. At our brand-new senior living community in Parker, CO, we put careful consideration into every facet of the design. Every suite is equipped with air conditioning to keep the climate comfortable. Window coverings in each suite give residents choice when it comes to privacy or letting the sunshine and mountain views peek through. 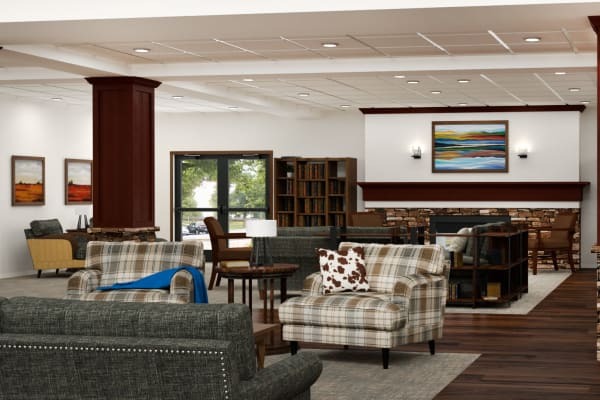 Memory Care residents and their families can choose from studios in two secured neighborhoods that include a dining room, living room, courtyard, and plentiful common areas. Assisted Living residents can select from studio, one, or two bedroom suites, all of which receive weekly housekeeping. Pets are welcome to join Assisted Living residents in their new suite to further make Pine Grove Crossing feel like home. Contact us today to set up a tour of our Parker, CO, senior living community. We would love to give you a tour of our grounds and tell you more about all the services and amenities we have to offer.